When it comes having your heart tested, the most accurate diagnosis and treatment starts with accurate, high-tech imaging. At Cardiology Consultants of Southwest Florida, we utilize nuclear imaging to help us get the best visual of your heart function. Located in Fort Myers, Florida and serving Lee County, Cardiology Consultants of Southwest Florida is led by Dr. Eliot Hoffman. 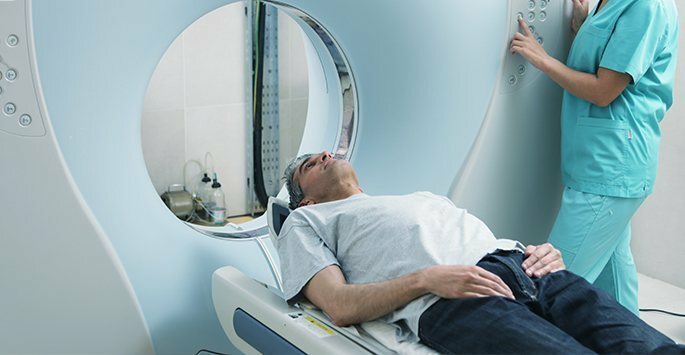 Contact us today to schedule a consultation and find out how sophisticated nuclear imaging can help accurately diagnose and treat your cardiac concerns. While technologies such as x-ray and ultrasound are used throughout the medical field to provide high-resolution imagery to physicians, more advanced imaging is often needed with cardiac conditions in order to get the most accurate idea of what the heart looks like and how well it is functioning. A small amount of radioactive material is injected into a vein. This substance is safe and poses no harm to your body or organs. A specially designed camera and computer take high-resolution photos of your heart. In some cases, these pictures may also be taken during a stress test in order to get the most accurate idea of your heart’s functionality. The function and flow of the blood to the heart muscle will be evaluated from the acquired images, allowing our medical team to determine whether the signs of symptoms of heart disease are present, or whether more information is needed to properly assess your individual condition. During your nuclear imaging exam, small amounts of radioactive material are injected into your body. The level of radiation is low and typically produces no adverse reactions. The heart may be put through a stress test in order to evaluate how it behaves in various states, but a member of our medical team will be with you to monitor your overall health during the test to ensure your safety. Should I Get a Nuclear Imaging Exam? The best way to determine if you are a candidate for a nuclear imaging exam is to schedule a consultation with our medical team at Cardiology Consultants of Southwest Florida. With over 27 years of experience, we can address any cardiac concerns you may have and help you determine if a nuclear imaging test is necessary. Contact Cardiology Consultants of Southwest Florida today to schedule a consultation and find out how nuclear imaging exam can help properly diagnose your cardiac concerns.